There are a number of free services that you may be eligible for when it comes to your health and it is definitely worth being up to speed on these. We have listed a few here so it is worth checking them out a little further in case some of them apply to you. Every woman living in Ireland aged between 25 and 60 is entitled to enrol on the cervical screening programme. A cervical smear detects potentially cancerous changes in the cells of your cervix . The cervical smear programme is entirely free of charge to all women. Most women will need to get their smear every 3 years but some will be called more regularly depending on the result of their smear test. It is an extremely important test and understandably many women have questions about it and they are answered very effectively here on the official website. We are part of the cervical screening programme here in Portmarnock GP Clinic. If you want to check your eligibility for your smear you can do so here, and you can call us on 01-8461335 or email on info@portmarnockgpclinic.ie to arrange an appointment. All smears are performed by our nurse Adele in the comfort of our surgery. A smear test only takes about 15 minutes and it may save your life. There has, of course, been huge controversy on this topic lately. The independent report from Dr Scally, who was drafted in as an outsider to assess our programme here in Ireland, came up with a number of recommendations which include one that women should continue to attend this service. All women aged between 50 and 64 are entitled to register for a free mammogram. A mammogram his can help detect changes in your breasts that may be cancerous. All information on eligibility, registration etc can be found here, on the official website. Your result will be sent to the GP you are registered with and if there are abnormal findings then these will be followed up on for you. The programme discovers about 6 cancers for every 1000 women screened so a mammogram is extremely worthwhile. It is important to note that if you discover any changes in your breast(s) that you are worried about, whether you have been screened or not, it is worth getting checked out in the clinic here. The HPV vaccine is free for girls in first year in secondary school and is a useful weapon in the battle against cervical cancer. Unfortunately the uptake of this vital vaccine has been affected by inaccurate negative press about it, despite guarantees on it’s safety. The Irish Cancer Society are happy to stand over it, as are prominent GPs and HIQA (the Health, Information and Quality Authority) are hoping to extend the vaccine to boys too. To check your eligibility, or to get more information on being part of a catch up programme if you missed the vaccine, please check out the HSE’s page which has lots of useful information. All people over the age of 70 and under the age of 6 are eligible for free GP visits. Here in Portmarnock GP Clinic we are taking part in both schemes and you can sign up to them by checking our website here. You can even do so online! A GMS/medical card allows you to see your GP without having to pay and it also allows you to access a lot of other community services free of charge too. There is a wealth of information about this online, but some of the most useful is on the Citizens Information website. Your eligibility depends mainly on your income and family size. We are part of this scheme too in Portmarnock GP Clinic so you can check out our webpage here to apply for yours. Some patients suffering with long term illnesses, for example Diabetes, Epilepsy or Parkinson’s, are eligible to apply to have their medications covered free of charge. There is information available on this scheme here, and if you think you may be entitled to enrol on this scheme you should check it out. The childhood vaccination programme is the cornerstone of preventative medicine in Ireland and we strongly advocate all children attending our practice to avail of this scheme. 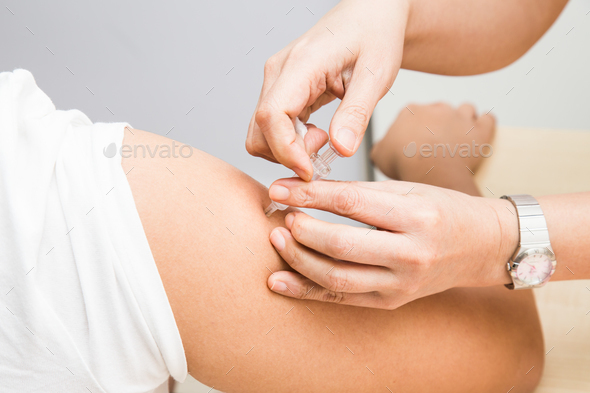 We do, of course, offer childhood vaccines in our practice. They are essential to prevent your child from developing illnesses such as diphtheria and measles, amongst many others. Sadly, measles can be fatal, which is a tragedy as it is preventable with vaccination. Some children are too sick to get vaccinated (for example, children who suffer with severe allergies to vaccines, Leukaemia and other cancers). Not vaccinating your child could lead to them spreading a disease to a child with a weakened immune system who cannot receive vaccines themselves. Often these children will be unable to fight this disease that they have contracted with catastrophic consequences. It is worth noting, Rubella, the ‘R’ in the ‘MMR’ vaccine, if contracted by a pregnant woman can be fatal to a developing foetus. Every person in the state should be immune to Rubella. Worries about the MMR and autism have been completely disproved and the authors of the study linking the MMR vaccine to autism have been barred from practicing medicine. If you have worries or questions about vaccination please contact us in the practice on 01-8461335. 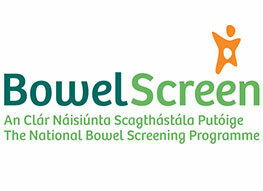 This programme is free of charge for men and women aged 60 to 69 and is designed to detect the early stages of bowel cancer. There is lots of excellent information on the scheme here. Unfortunately, despite the fact that the scheme is free of charge and can be done in 5 minutes in the privacy of your own home, only 40% of eligible people are taking part in this scheme. Here in Portmarnock GP Clinic we strongly advocate that you take part in the scheme! The 2018 influenza campaign is in full swing and we have our stock of vaccines in again! To check your eligibility please have a look at the HSE website on the topic! Don’t forget that getting the flu vaccine not only protects you from the flu, it also reduces the risk of you spreading the flu to the sick, elderly, infirm and those who are unable to get the vaccine themselves. Every women who is pregnant and living in Ireland is entitled to free maternity care under the Maternity and Infant Scheme. We provide your care here in the surgery in conjunction with your hospital consultant. You are entitled to this service even if you do not have a medical card. The Scheme also provides for two post-natal visits to us too. Dr Laura O’Flynn also provides ultrasound scanning to all pregnant patients and can do an ultrasound scan at each visit here in the clinic where you can see your baby (or babies!!) for yourself on screen! Please feel free to check out all the links above if you would like more information on anything mentioned above. Here in Portmarnock GP Clinic we are currently accepting new patients whether private, GMS, U6, over 70, doctor visit card etc. Call us on 01-8461335 or 01-8038881 for more information.